The naïve, soulful appearance of the cherry blossom has always sent my imagination on an epic journey. This special flower, with its delicate, almost ethereal quality, is associated primarily with Japan and indeed has a very special place at the very heart of Japanese culture. There, sakura (cherry blossom) season is heralded as the harbinger of a new chapter or a fresh chance at life. Yet this special association has a more poignant side to it as the beautiful flower lives a mere ten days, falling at the very high point of its short life. So for most Japanese, this short-lived cyclemirrors the inevitable turn of human life—and of death itself. Such a sad analogy, however, certainly doesn’t stop people making the most of this time. Sakura evenings coincide with the lovely Japanese spring time and find families and friends gathered beneath the flowers barbecuing, picnicking, and drinking sake in the yearly “hanami.” This tradition has occurred for over a thousand years throughout Japan, and young and old alike tread resolutely in the footprints of the ancestors who have gone before. Sakura, then, offers the ultimate oxymoron: perpetuity found at the heart of nature’s finest representation of the ephemeral. 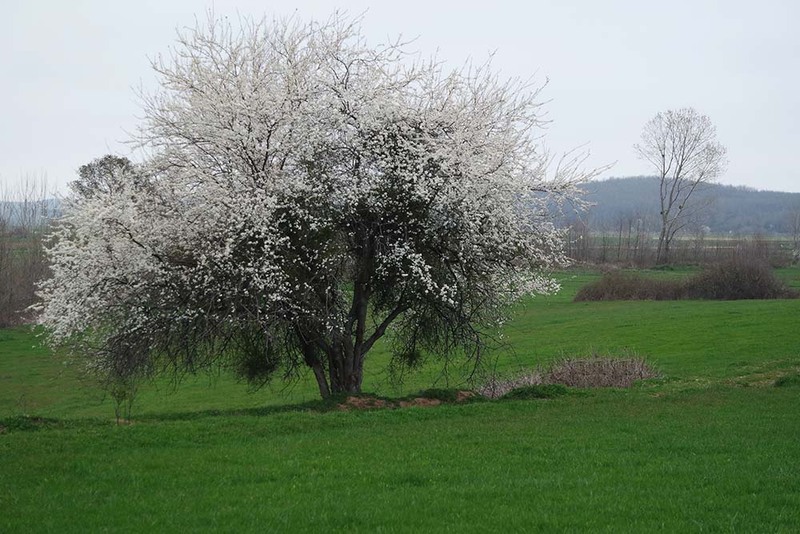 Cherry, cherry blossom, cherry tree, Turkey, Landscape. Just as sakura is a bitter sweet, mirrored image of life and death, so the birth of sakura in Turkey sprang from its own roots of life and death. The year 1890 saw the tragic sinking of the “Frigate Ertugrul,” a Turkish boat on a visit to Japan. A typhoon engulfed the doomed vessel near the Japanese coast just as it was heading home. The tragedy was that 587 sailors and officers died, but notably, the Japanese Coast Guard fought to save 67. The return of these men to Turkey by the Japanese was considered as the foundation for what is now a strong relationship between the two countries. Sultan Ahmet Square, blooming pink cherry, slice of life. 2010 saw the first Turkish-inspired sakura celebration in the Istanbul Nezahat Gokyigit Botanical Gardens. Japan carefully guards its sakura trees and seeds, but because of the “Frigate Ertugrul” tragedy and the subsequent closeness of the two nations, it was deemed acceptable to relax the rules in the name of commemoration. 587 sakura saplings were donated by Japan to Turkey, providing the perfect backdrop for the country’s first hanami. Each sapling represented one of the sailors or officers who were cut down in his prime due to the tragedy. The notion also drew on the traditional samurai philosophy of “painless death and eternal glory”—a consideration of how these lives ended at their peak. So now the legendary sakura, familiar in Japanese pictures, folklore, and songs can be readily found in Turkey as well. In the early days, though, Turkey was one of only nine countries lucky enough to be allowed to grow trees of this Japanese variety. Cherry blossoms at Yesil Türbe bursa. The next stop after the Botanical Gardens must be the Japanese Garden in Istanbul, Baltalimanı. Just like the Botanical Gardens, sakura here were also offered by Japan to further cement Japanese/Turkish relations. The garden, which makes use of traditional materials used in Japanese garden art, contains some huge sakura trees and “feels” very Japanese. The garden entrance symbolizes the two countries’ Bosphorus Bridges and emphasizes the growing friendship of the two countries. Going further along the road between the white and yellow kiosks, you will see a 5-meter-high sakura tree. Next, your eyes will likely be drawn to the third oldest Turkish sakura tree on the Asian side of Istanbul, growing in the park of Fenerbahçe. This particular tree has an aura of immense loneliness, standing tall among 400-year old gumwoods—solitary yet proud at the same time. If you have extra time during this stop, be sure to visit the nearby Emirgan Grove where you will find the oldest cherry trees in all of Istanbul. Sazova Park or Science Art and Culture Park view in Eskisehir. 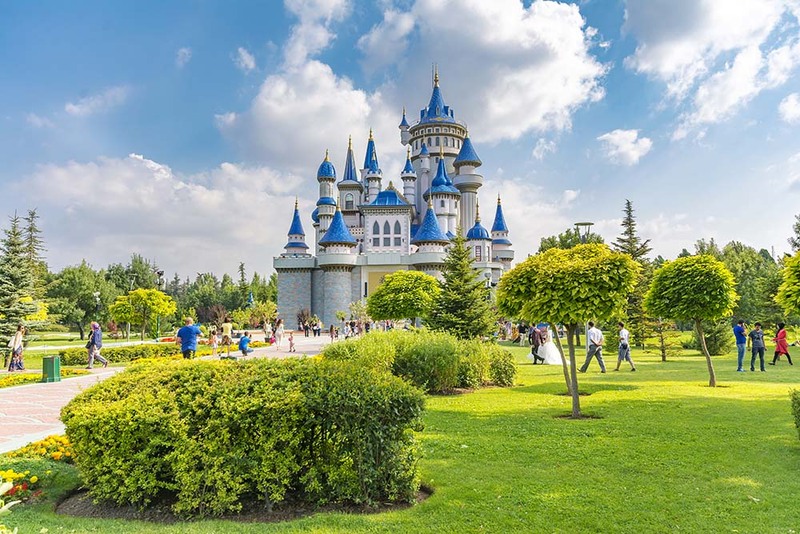 Eskisehir is a modern city in center of Anatolia. Following our pink route, our next stop is Eskişehir, where visitors will encounter the Sazova Japanese Garden. 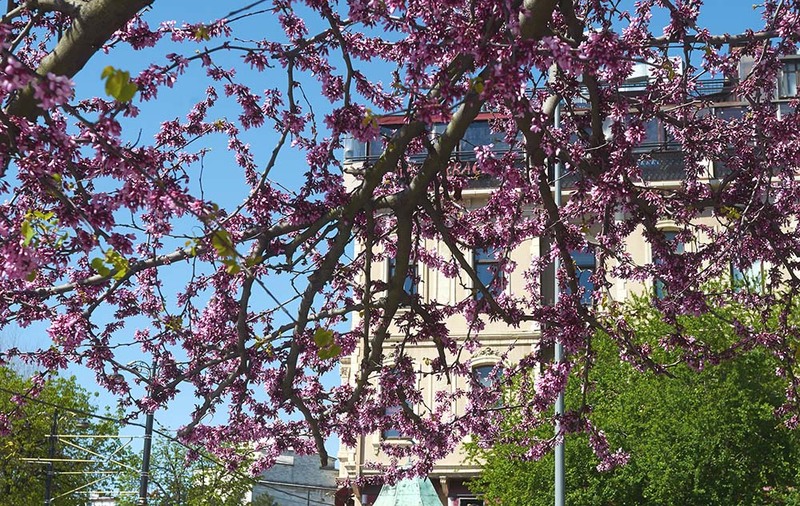 It is a peaceful, 22-acre area that blooms magnificently in spring. This is the place to get in touch with one’s inner voice. Buddhist philosophy insists that man can only find true clarity of mind in nature; of all the sakura stops in Istanbul, Sazova is the place best designed to help reach this state. Following this, the “city of freedom,” İzmir, beckons as the next stop on our Sakura route. A much-loved Japanese architect, Tatsuya Yamamoto, died there in 2010 and the Yamamoto Japanese Garden was subsequently created as a testament to his life and to his considerable achievements. For tourists, it is a wonderful, slightly intriguing way to pass some time. The unique structure of the garden is designed to represent the five stages of life that prove so important in Japanese philosophy. Start at the bridge (birth) and travel through all the stages until you reach the deep, dark pool at the end. There, the static, stable images of the all-encompassing depth and peace of eternity will envelope you. Sakura (Japanese Cherry) Istanbul, Turkey. The Thracian Region, situated in the European part of Turkey, is a secluded place where one can gain a full sense of the riotous nature of the many trees. It is advisable to take this tour during the spring, of course. Start at Tekirdağ City and then go on toward Şarköy. 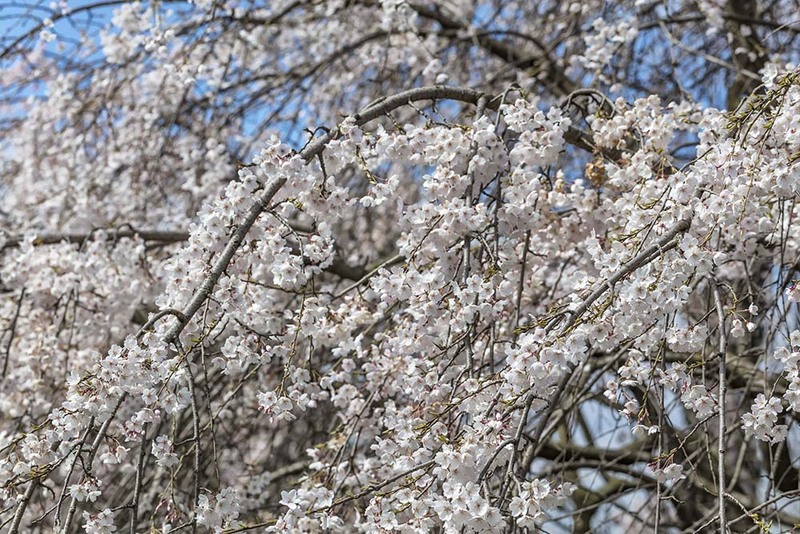 In the pruned, sterile garden stand sakura trees, seemingly fearless alongside natural cherry trees—fruitful, fertile, and wild. 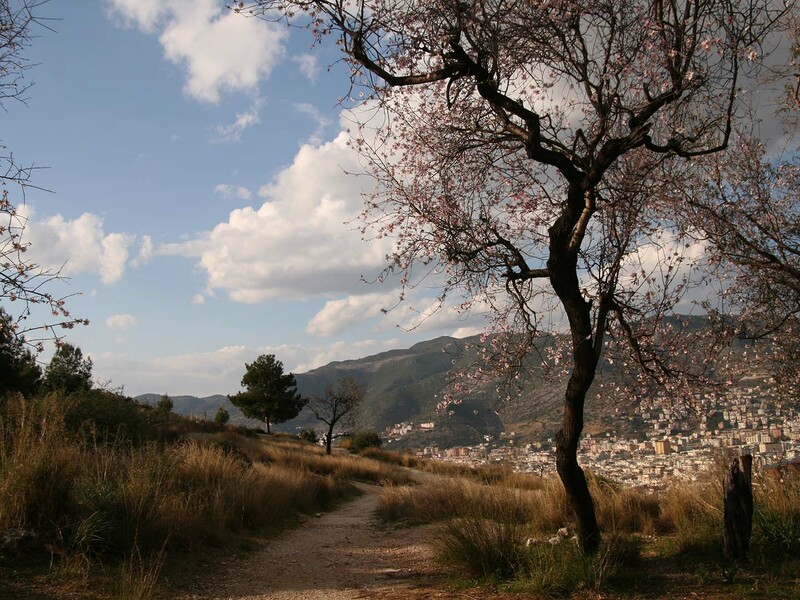 Kumbağ, Naip, and Barbaros are all popular towns for sakura and cherry tree viewing. Each year thousands of visitors go to Çanakkale (Dardanelles), which is famous for being the nearest major city to the site of ancient Troy. 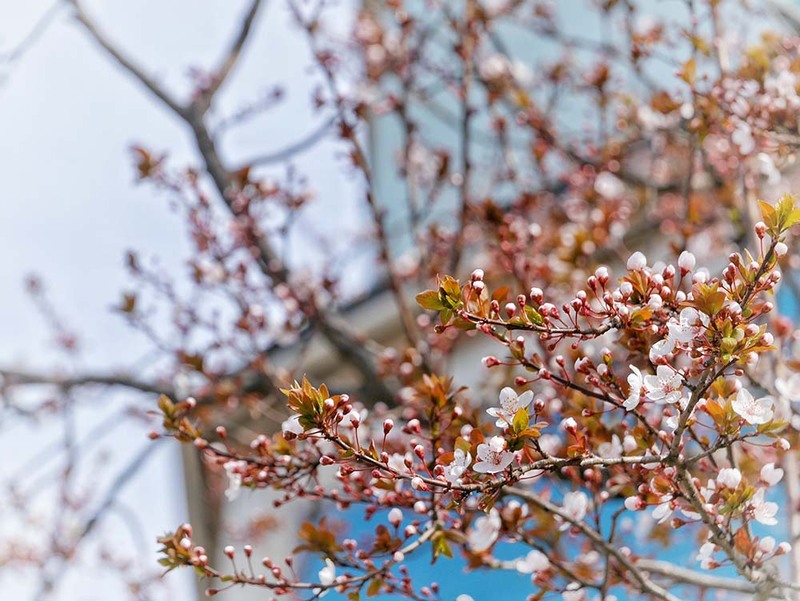 In terms of sakura, Çanakkale University’s Department of Japanese Language Education opened in 1993 and Prince Takahito Mikasa visited there that year to open the garden which contains a sakura tree, now 22 years old. When in Çanakkale, it is also advisable to visit the Gallipoli Peninsula, an extremely important site in history as it was here that a battle was fought against the British, paving the way for the later Turkish War of Independence. 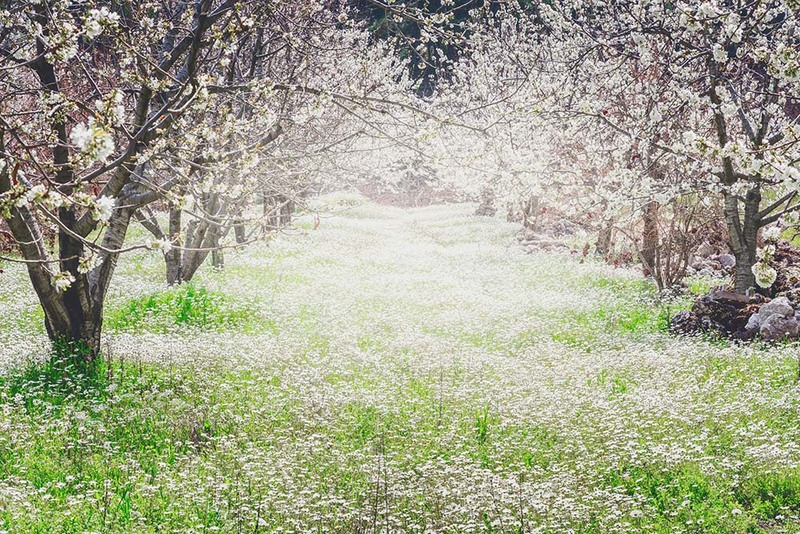 Blossom orchard vista in spring season. When passing through Turkey, travelers encounter another corner with a distinctly Japanese flavor, this time in Konya: Konya Kyoto Park. The park was opened in 2010 by the Municipality of Konya to strengthen Konya/Kyoto fraternal relations, and it is the biggest Japanese garden in all of Turkey. It is built on a 36-acre site and contains sakura trees, restaurants, gardens, and recently some rather idiosyncratic Japanese activities to try on for size. When in Konya, you should also visit Mevlana to find out a little about the history of Sufism there. The approach to Safranbolu is itself a journey of incredible beauty, especially during spring. Rows of pink and white trees line up like brides and you will surely feel compelled to stop and photograph them many times along the route. This are is so beautiful, in fact, that it is often used in documentaries and films that feature cherry blossoms. Blossoming cherry trees with mountain scenery at Uluborlu, Turkey. Let’s turn our attention now to the Aegean Region where we can meet the warm people of this area and enjoy with them typical olive oil and other Mediterranean type delicacies. Here in Manisa, Akhisar, the first Japanese marble park in Turkey awaits you. Marble is important in Japanese culture, as it was used traditionally in the “dry landscape” gardens of Zen Buddhist temples. Monumental Japanese architectural creations in Manisa mix points of Japanese and Turkish culture in an unforgettable way. Sakura trees also grow here, in the park. Çatalca, Istanbul, Belgrade village, Spring branches. Perhaps the saddest irony of the Japanese sakura’s situation is that not only does it have a very short life-span but also due to over-breeding, they is usually infertile. Sakura trees, then, serve mainly as breathtakingly beautiful ornaments, occasionally producing small cherries which are bitter to the taste. 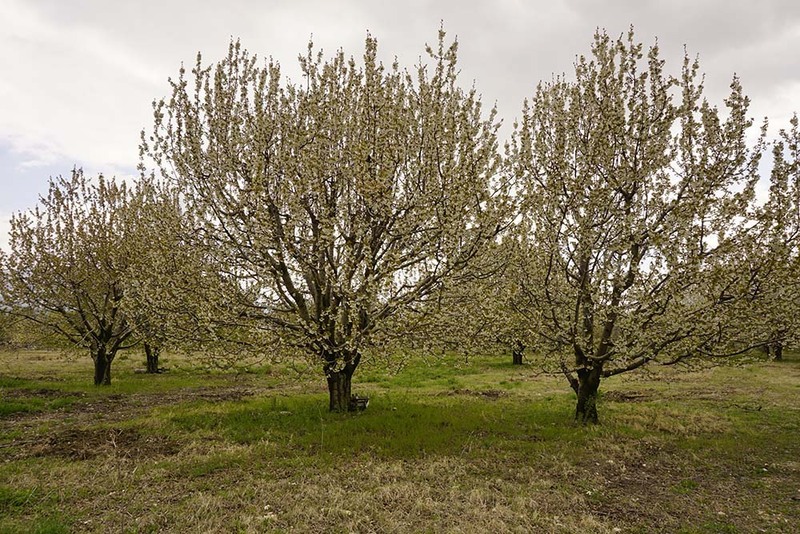 Turkish cherry trees, on the other hand, are extremely fruitful, meaning that Turkey is today lucky enough to be one of the market leaders in cherry production worldwide. Cities near Manisa prevail as Turkey’s most productive cherry fields. Every year, there is a Cherry Festival in the Uluborlu District of Isparta. Local Cherry Festivals are also growing in importance with a recent spike in the number of Asian tourists visiting Kütahya. After these cities, we reach Afyon, famous for its natural hot springs and amazing sweets. Because of the local climate, it is one of the most productive cherry regions in Turkey (especially the Çay district). 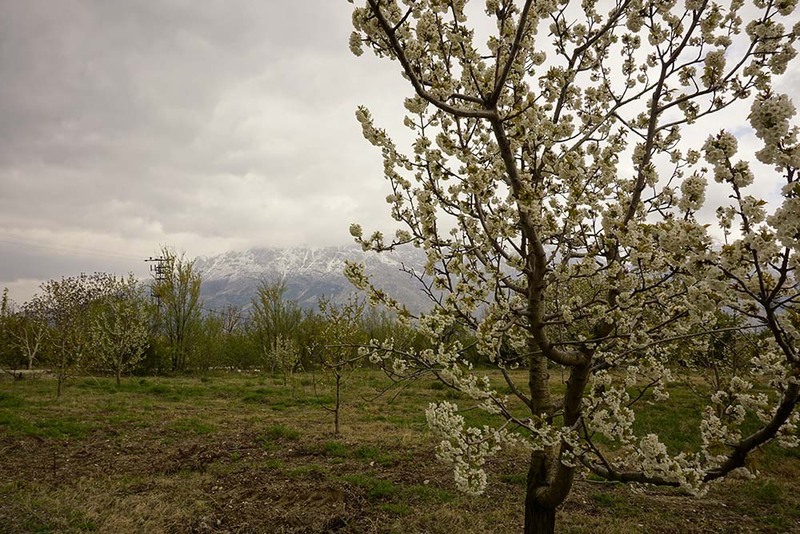 Denizli, known primarily for its white travertine, is also a cherry production hot-spot. So we come to the end of our bitter-sweet sakura tour. The distinguishing features of these beautiful flowers are that their lives end just when they reach full bloom and thus they display their immense beauty for only 10 days a year. This makes them both a source of global interest and also provokes personal reflection and inspiration. To see them bloom and fall in such a startling way is an experience not to be missed, and the feelings of sadness and hope evoked can be experienced now in Turkey just as powerfully as they have been for so long in their homeland, Japan.